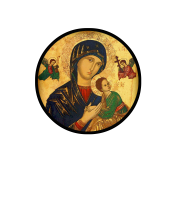 Description: We celebrate the Solemnity of Mary, Mother of God. Description: Women of the parish come together in fellowship, all women of the parish are invited. Description: Respect Life collects baby clothes etc. for mother in need. Description: Please register through the diocese. We celebrate the Solemnity of Mary, Mother of God. Women of the parish come together in fellowship, all women of the parish are invited. Respect Life collects baby clothes etc. for mother in need. Please register through the diocese.